What is a Multiage Classroom? Multiage classrooms are made up of a mix of abilities and ages, reflecting the natural groupings found in our neighborhoods, communities and in the world. Since students are not grouped based solely on academic ability or age, there are many opportunities for the exchange of ideas, modeling of behaviors, practice of responsibility and nurturance, as well as development of leadership and social skills. Students in multiage classrooms may have the same teacher or teaching team for more than one year. Will my child benefit from a multiage experience? YES! 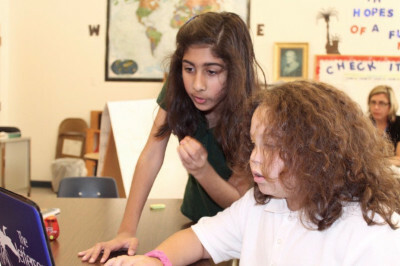 Older students in a multiage classroom gain confidence and experience leadership roles as a result of modeling and "instructing" younger students. When older children 'teach' newly learned skills to younger classmates, they strengthen their own understanding of these skills. Every year or two, depending on the length of the program, students in multiage classrooms become the experienced students in the room. 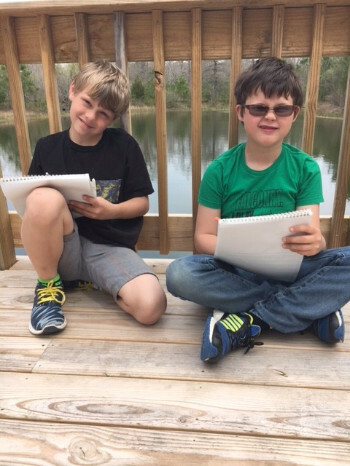 Students in a multiage classroom learn in a natural setting found in real life in which people of different ages and abilities learn from each other. Additionally, they benefit from having more than one year with the same teacher or team of teachers, which allows for more continuous learning and helps some student begin the year without anxiety since they know they will be returning to the same teacher and many of the same classmates.